A successful implementation includes structuring content and pacing goals that support your instruction style and classroom environment. Our implementation partners will guide you as you decide the right mix for your course format. 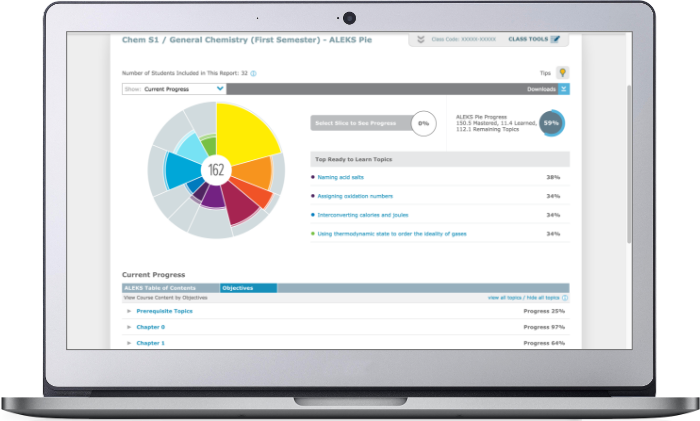 With ALEKS, you can control the student experience and pacing of content. You can choose more structure by holding the entire class accountable with due dates or less structure by allowing students to work at their own pace. Assign ALEKS as your homework outside of class and encourage students to meet your deadlines so they keep pace with your lecture. ALEKS works to identify how much practice each student needs while working through the topics to meet your due dates. 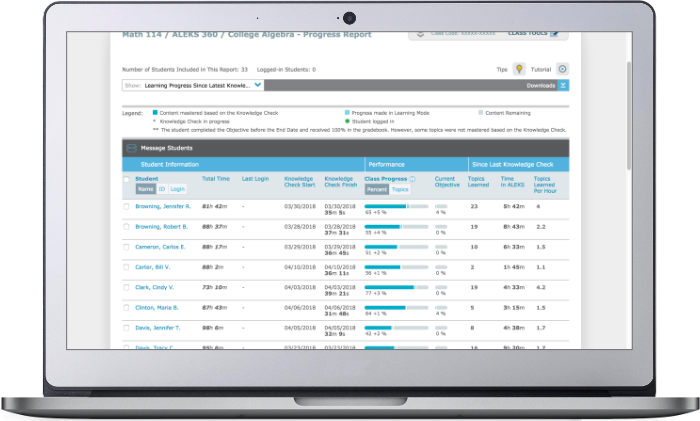 ALEKS generates reports on where your class needs more review and what they are ready to learn. Hands-on learning environments allow for more one-on-one interaction with students as they work in ALEKS to meet their goals. Students can access a variety of resources while learning the content, including links to e-books and videos, ALEKS explanations and other resources you choose to upload. ALEKS can deliver content to students in a hybrid/blended environment or fully online. You can reinforce and further apply their understanding as they learn important topics. Help students prepare and review topics before a term begins or in the first few weeks of class with ALEKS Prep products. The personalized path in ALEKS gives students a chance to refresh important concepts that they might have forgotten. As students master important prerequisite topics, they will be prepared for more difficult concepts. Using a just-in-time approach, ALEKS recommends prerequisite topics and can be assigned for a grade or not. 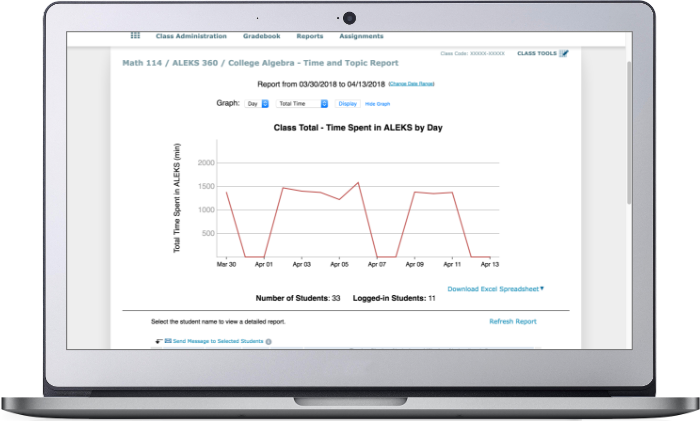 As you assign core topics, ALEKS automatically assesses what pre-requisite topics students may or may not need giving you more time to direct your instruction.